A newly married man and his grandmother were killed in India when a wedding gift they were opening exploded. The man’s wife was critically injured in the blast on Friday in the eastern state of Odisha, police said. 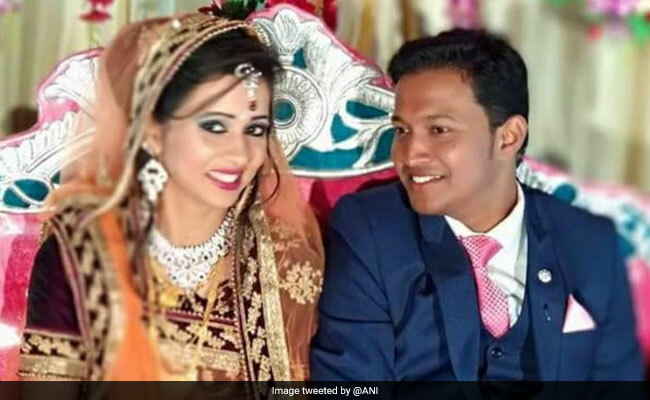 Soumya Sekhar and Reema Sahu got married on the 18 of February and they received the “gift” at their wedding reception a few days later. It was actually a parcel bomb and did not have the sender’s address of it, police said. The parcel exploded as soon as it was unwrapped, relatives told local media. Mr Sehu and his 85-year-old grandmother, Jemamani Sahu, died from their injuries in a hospital. The motive for the attack is not clear, police said, however they suspect it was carried out by someone in the area. DRAMA AS MOTHER SELLS BABY TO BUY PHONE IN EDO STATE. Man jailed 10 years for defiling 10-year-old girl. 50-year-old man allegedly raped 15 months old girl in Bayelsa. Next articleAzubuike Okechukwu Becomes U-23 Eagles Captain.